We are a coveted manufacturer of optimum quality gamut of Fluorescent Tube Light. A formidable range, this caters to the growing needs for a trendier product in this category. A Slim Lamp is made of 9mm diameter tubes and has a slim fit that can be placed with the least possible space. 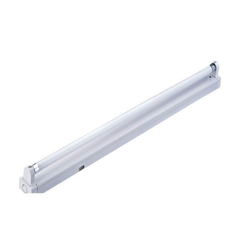 T8 Fluoresent Lighting / ACE Batten-T8 Fluoresent Lighting combines versatile control options with excellent lighting performance, minimal wiring requirements & low initial investment & low cost of ownership. Leveraging over the skills of our qualified team of professionals, we are instrumental in offering wide range of Fluorescent Tube Light. - Offering Glass Tube For Flameproof Fluorescent Tube Light. - Borosilicate glass represents unmatched standardized glass for construction of plant and piping in the chemical, dyestuff, food pharmaceutical, petrochemical industries. - Its steadily growing use is due to many advantages over conventional materials. We are a renowned Manufacturer & Supplier of a wide assortment of Cathode Fluorescent. We use the finest quality material in the production of feature packed Cathode Fluorescent. Our Cathode Fluorescent is characterized by superior quality, high efficacy and long functional life. 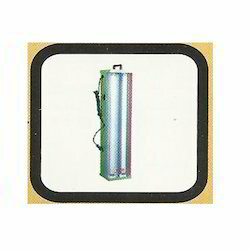 Owing to the aforementioned features, our Cathode Fluorescent is widely demanded in various industrial sectors.